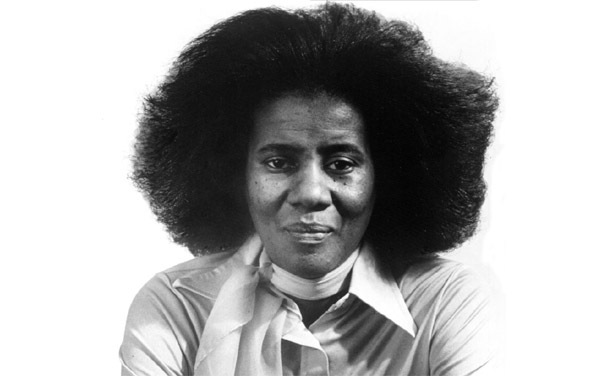 Alice Coltrane was an uncompromising pianist, composer and bandleader, who spent the majority of her life seeking spiritually in both music and her private life. 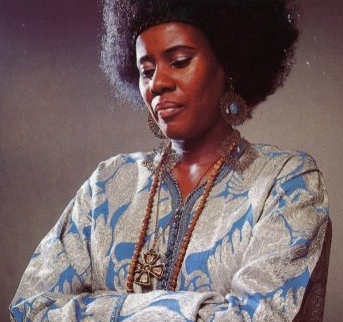 Music ran in Alice Coltrane’s family; her older brother was bassist Ernie Farrow, who in the ’50s and ’60s played in the bands of Barry Harris, Stan Getz, Terry Gibbs, and especially Yusef Lateef. Alice McLeod began studying classical music at the age of seven. 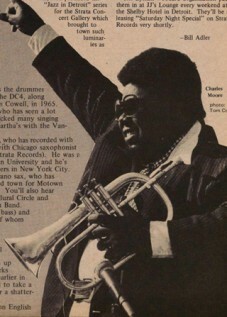 She attended Detroit’s Cass Technical High School with pianist Hugh Lawson and drummer Earl Williams. As a young woman she played in church and was a fine bebop pianist in the bands of such local musicians as Lateef and Kenny Burrell. 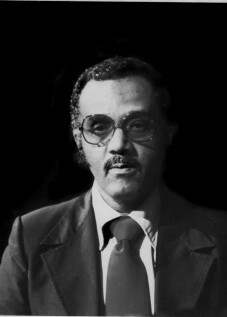 McLeod traveled to Paris in 1959 to study with Bud Powell. She met John Coltrane while touring and recording with Gibbs around 1962-1963; she married the saxophonist in 1965, and joined his band — replacing McCoy Tyner — one year later. Alice stayed with John’s band until his death in 1967; on his albums Live at the Village Vanguard Again! and Concert in Japan, her playing is characterized by rhythmically ambiguous arpeggios and a pulsing thickness of texture. A Monastic Trio Subsequently, she formed her own bands with players such as Pharoah Sanders, Joe Henderson, Frank Lowe, Carlos Ward, Rashied Ali, Archie Shepp, and Jimmy Garrison. In addition to the piano, Alice also played harp and Wurlitzer organ. 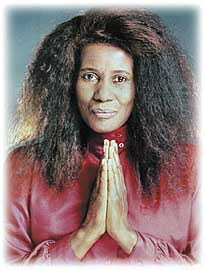 She led a series of groups and recorded fairly often for Impulse, including the celebrated albums Monastic Trio, Journey in Satchidananda, Universal Consciousness, and World Galaxy. She then moved to Warner Brothers, where she released albums such as Transcendence, Eternity, and her double live opus Transfiguration in 1978. Long concerned with spiritual matters, Coltrane founded a center for Eastern spiritual study called the Vedanta Center in 1975. 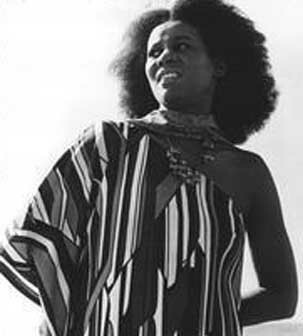 Also, she began a long hiatus from public or recorded performance, though her 1981 appearance on Marian McPartland’s Piano Jazz radio series was released by Jazz Alliance. In 1987, she led a quartet that included her sons Ravi and Oran in a John Coltrane tribute concert at the Cathedral of St. John the Divine in New York City. Coltrane returned to public performance in 1998 at a Town Hall Concert with Ravi and again at Joe’s Pub in Manhattan in 2002. 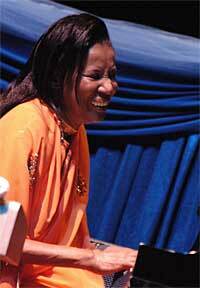 Divine music is one of the highest mercies extended to us by God. It is as powerful as prayer itself. The potency of sacred music has in certain instances superceded the curative properties of medicine, mantra, and affirmations. This is due to the heart’s principle of love, purity, and innate receptivity. Often, the mind that knows the use of recitation and affirmations, at times has found that little value results when it exhaustedly abandons the constant repetition. The Wire: Were you introduced to the piano through playing the instrument in church? Was this how you first became interested in playing music? What did you learn from playing this music? How did you get involved with playing jazz music? Did you hear any other players at this time? Before that you met Bud Powell in Paris. Was he a hero of yours? Was it at this point that you decided to become a serious musician? How did the trio come together? How did you meet Terry Gibbs and how did you become a member of his band? You also played vibes in his band? Did Terry introduce you to John? 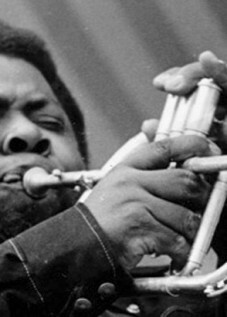 Sonny Sharrock tried to play his guitar like John Coltrane. Were you trying to do the same with piano? Are you feeling the presence of John when you’re playing that? Or are you trying to take it beyond? No, I was just wondering if you were trying to take that particular piece of music a stage further, advancing the legacy because you’re playing a totally different instrument? Yes, but not improving. In other words, like TV. They did the remake but they didn’t improve it. They just made it better than what it was, because it had this aspect and this option and this application, sort of like the expanse of our internet. Who can say? Maybe the day will come when it’s so much better and so much improved. But I just saw them making themselves sound so much better, but not perfecting on what they already did. When John and Pharoah Sanders deliver their pieces on the Olatunji record, you take them on unflaggingly. You’re released from that system then. what did that feel like? I think free jazz is the most disciplined, you have to really listen to each other. 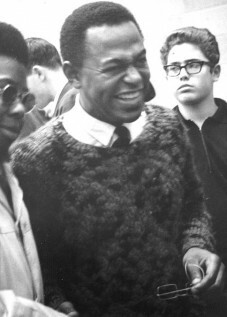 I like when you come in on with Rashied Ali and Jimmy Garrison like a little trio. Did you feel a bond? Separate for that instant? “Oh, Japan was so special because the people were so lovely with such a deep admiration. Americans were confused about this new direction. But the Japanese embraced it. It was a very personal statement. Cosmic Music came out on Coltrane Records and John did the cover drawing. But only Cosmic Music came out like that. Did they offer you a contract as a solo artist? How did you become a solo artist? The Monastic Trio. How many takes in the studio? Did he like the harp? So a harp and a saxophone aren’t that far apart. I feel there is a certain amount of air in a piano. You’ve always been associated with the harp. I see what they mean. It’s such a lovely thing to hear. You collaborated with The Rascals on Peaceful World. song called Little Dove. So was it Laura or Felix who asked you? And Felix asked you for the Rascals? What did you learn through him? “Well some of the outstanding things that I learned was that in life we make appointments. And when we make an appointment there’s desire connected with it, and that desires create the possibility of disappointment, frustration and all kinds of negative responses when they’re not fulfilled. So he says, ‘Go back to the root of the whole situation, don’t attach yourself to an idea so strong that you make an appointment, because if you make an appointment you can get ready to be disappointed. But say, if you want to build a ship, build it in a detached manner. Don’t build it subjectively, don’t build it by putting your full faith into a technical, temporary, mundane, or materialistic thing. Go about it in a detached way. Detached doesn’t mean disliked, it just means that I don’t want this project to consume me. It will if I allow it. If I subject myself it ends up binding and controlling me. I can’t sleep at night because that’s all I’m concerned about. So I will go and do my work objectively.’ That’s one of the best lessons I’ve learned that he taught us. What do you mean by Universal Consciousness? So what is the role of a guru? Is he the voice of God? How did you part from Swami Satchidananda? And you have your own centre? What do you do there? Did Swami Satchidananda’s teachings play a part in your music? You played alongside Joe Henderson on his The Elements album?